The 2019 Commonwealth Short Story Prize shortlist has been announced – I am still is shock to see my name on it! There are over 20 writers to celebrate on the shortlist including from Kenya, Nigeria, Zambia, New Zealand, UK, Cyprus, including two translations. The regional winners – from Africa, Asia, Caribbean, Europe/Canada, Pacific – will be announced on 9 May. The overall winner will be announced on 9 July. All winners will have their stories published in Granta. Shortlisted stories will be published online. My short story ‘Nightfall’ is set in 1800s Adelaide – my home town. And keep a look out for next year’s Prize. Entry is free. The judging panel is diverse. Stories can be submitted in a number of languages. You can find out more about all the shortlisted writers, plus more about this year’s Prize from the chair of the 2019 judging panel, Caryl Phillips. I’s been 20 years since my first short story was published in the now defunct Australian Womens Book Review. This is a wonderful way to mark that anniversary. Very happy my novel The Floating Garden is on the shortlist for the Most Underrated Book Award 2016 – alongside books by Patrick Lenton, Christopher Currie, Marcus Westbury. It’s such a great award. If there’s one thing I’ve learnt over the years whether writing short stories, novels, or non-fiction – it’s to just keep on reading and writing! A few months ago I was asked to choose a favourite piece of writing that captured ‘the essence of youth’. This got me thinking about being a writer of a Certain Age who occasionally writes younger characters, and the process of drawing on – or strategically remembering and forgetting – the ‘other country’ of my youth. The young characters who grip me in fiction are usually outsiders, so I turned to two of my favourite writers to see how they do it. Ali Smith’s short story ‘Writ’ dazzles because it’s about being young and old – literally – at the same time. In Janet Frame’s short story ‘My cousins who could eat cooked turnips’, the protagonist is probably younger than ‘youth’, but there’s a link between the two stories – the moment these characters discover they don’t fit in and are forced to make a decision about what that means. Here are my thoughts on these two uneasy pieces. There’s a razor sharp exchange about the vantage point of age in Ali Smith’s short story ‘Writ’. A middle-aged woman finds her fourteen-old self scuffing about her book-lined house, lolling in front of the blaring television, perfecting the art of looking needy, bored, and beautiful. There’s so much to say – and not say – to this girl as she smirks, shrugs, advances, and retreats. This is trademark Ali Smith, snapping the elastic of time and place, thrusting a two-way mirror between the other and the self. Just when you think she’s writing about the hopes, anxieties, limitations and freedom of know-it-all youth – you begin to suspect it’s more about the hopes, anxieties, limitations and freedom of know-it-all middle age. ‘Writ’ appears Ali Smith’s 2009 collection The First Person and Other Stories. When it comes to crystallising the tensions between individuality and conformity, belonging and alienation, loyalty and betrayal, I can’t go past Janet Frame. In her story ‘My cousins who could eat cooked turnips’ a girl learns her place in the world during a visit to her ‘Cultured’ cousins. The cousins have ‘good trellis work’, a garden full of flowers, and fine lacy clothes. For the girl, it’s an ‘alien world’ where nobody fights, or yells, or sings dirty little rhymes. 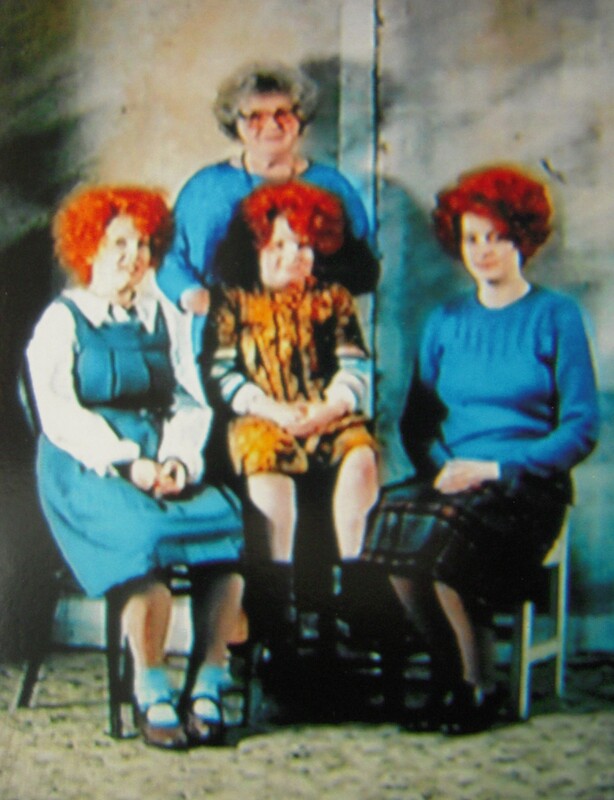 Her mother seems ‘far away’ and ‘high up’ as she perches at the aunt’s ‘white and ready’ kitchen table. The girl watches how her mother begins to say ‘really isn’t that just so fancy’ about everything she sees. The girl feels ‘sad and strange’ as she stares at the cooked turnip waiting on their plates. She wants to go home, where she can run wild in the fields and yank turnips out of the ground, and eat them raw under the friendly gaze of ‘an approving cow’. But then she realises. She is the poor cousin. She must do as her mother does – hide her ignorance, oddity, and shame. So she eats her cooked turnip, shows interest in her cousins’ fine lacy clothes, and begins to say ‘just so fancy’ to everything she sees. ‘My cousins who could eat cooked turnips’ appears in Janet Frame’s 1983 collection You Are Now Entering the Human Heart. For more recent short story collections exploring the tricky terrain between various worlds and (not necessarily) fitting in, I heartily recommend Paddy O’Reilly’s Peripheral Vision, Ellen van Neerven’s Heat and Light, and Maxine Beneba Clarke’s Foreign Soil. 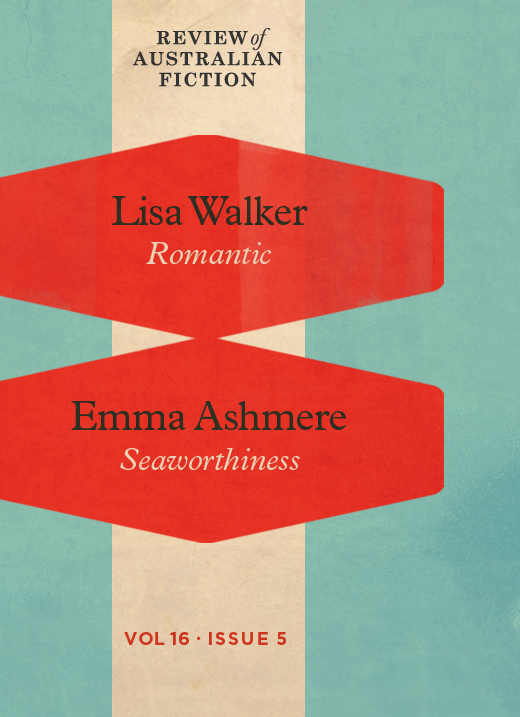 Emma Ashmere’s short stories have appeared in The Age, Review of Australian Fiction, Griffith Review and Sleepers Almanac. Her debut novel The Floating Garden is published by Spinifex Press and was shortlisted for the 2016 MUBA prize. Gardens lie at the centre of many compelling novels as places of sanctuary, nourishment, control and ruthlessness. In others, only a tendril might snake its way in – with striking effect. Here are six of my favourite Australian novels about people and plants. Ethel Turner (aka Jean Curlewis) is best known for her classic novel Seven Little Australians. 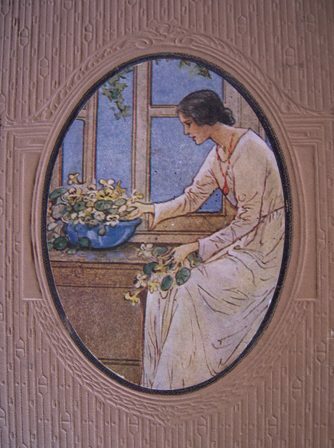 Her less well-known work, The Ungardeners, was published in 1925. Part fable and part witty political satire, the original colour plates suggest it might stretch to a children’s book. Australian poet and gardener Annie travels the globe with her English stockbroker husband, Peter Purcell. After he suffers a nervous breakdown, they settle in Australia for a gentler life. Eventually Annie lures Peter out of the sick bed and into her world: the quiet joy of the garden. But times are tough and Annie is forced to sell off some of her land. When she returns from a brief trip away, she discovers “the bit of creek fringed by wattles” has become a housing estate clustering around the busy chimney of a jam factory. Soon her flowers begin to disappear. The neighbouring “slum” children are the culprits, and claim they need flowers for a relative’s funeral. Is it manipulation or ingenuity when Annie discovers the children are selling off her flowers at the local cemetery? The Ungardeners is about many things, including Australia’s place in a fragmented and rapidly changing world, the universal tension between materialism and art, and the idea of development versus nature. Gardens are usually seen as the triumph of order over chaos. In The Secret River, gardening brings chaos and dispossession. When ex-convict William Thornhill takes up a piece of land on the Hawkesbury, he establishes a house and a garden. Armed with a bag of seeds, precious tools, and labouring help, he is determined to slough off his old life of austerity and petty crime. The aim is to move up in a society where the hierarchies of Britain don’t necessarily apply. But Thornhill’s seemingly simple act of gardening can never be innocent or neutral in a colonial land. As soon as he plants his plot, something – or somebody – digs it up. His garden becomes a “message”, the equivalent of “hoisting a flag up a pole”, a claim that this “insignificant splinter” of the country is now his. In The Secret River, Kate Grenville reminds us that Australian history is contested ground. One person’s feast is another person’s famine, depending on which side of the fence you’re on. The Hanging Garden was published posthumously, accompanied by a level of controversy. 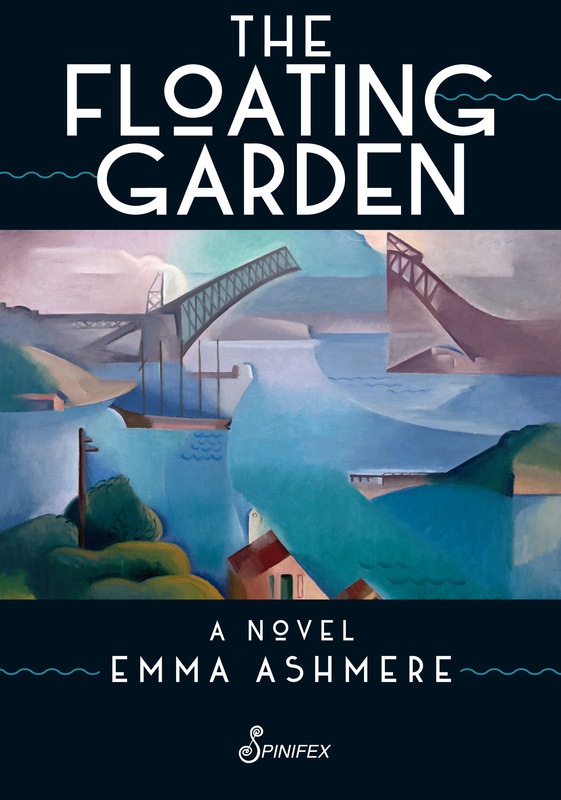 This ‘unfinished’ novel centres on fourteen-year-old Eirene Sklavos who arrives in Sydney from Greece with her mother, the flighty Australian-born Geraldine. Eirene’s father, a Greek “patriot”, has been tortured and killed in prison. Once Eirene has been delivered, her mother returns to war-weary Europe. Eirene ends up creeping about a boarding house on the harbour, inhabited by the migraine-prone but not unkind Mrs Bulpit, and another teenage exile, Gilbert Horsfall. Gil has been evacuated from the London Blitz and suspects his father was pleased to offload him. Gil sees Eirene as a fascinating “snake”. He’s impressed by her casual snippets of Greek myth, her worldliness, and firsthand experience of communism and volcanos. For Eirene, Gil is a “sinewy white monkey”, who swings between being her friend and a traitor. In the no man’s land of Mrs Bulpit’s overgrown garden above the cliffs, Gil and Eirene discover the fragile possibility of companionship. But loyalties continue to shift as quickly as the fickle harbour light. Their place in the garden is a shared but precarious, fleeting sanctuary, poised between childhood and adulthood, the world and home. Heat and Light is divided into three parts: Heat, Water and Light. In the Water section, the line between people and plants blurs. Set in the 2020s, the Australian government is evacuating islands in Moreton Bay so Indigenous people can apply to live on a kind of “super” island. However, some of the islands’ mysterious original inhabitants, known as “the plantpeople”, are proving difficult to move. The protagonist, Kaden, is a young Indigenous botanist. She comes into contact with the plantpeople when she scores a job distributing a scientific formula to them on behalf of the government. Larapinta is the first “specimen” she meets. Green-skinned and of fluid gender, Larapinta “has a face like me and you”. As their relationship develops, Kaden becomes more politicised and suspects her seemingly benevolent role at the company has another agenda. Heat and Light has been described both as a novel and an anthology, and as a sci-fi/fantasy work. Like the character Larapinta, the book resists neat classification as it pushes back and forth through the porous borders between human and non-human; truth and myth; past, present and future; the other and self. A Curious Intimacy is inspired by the nineteenth-century botanist and plant-hunter Georgina Molloy. The protagonist is Ingrid Markham, who rides her horse around Western Australia in pursuit of plants. Back in her hometown of Adelaide, Ingrid has been trained in the rigours of botany by her ageing but liberal-minded father. Unable to make fieldtrips himself, Ingrid sets off with a bruised heart, a passion for discovery, and the latest in collecting kits. With Victorian-era fervour, she is both woman and explorer, finding, cataloguing, and painting her discoveries. During her expedition, Ingrid meets Ellyn Ives, whose husband has been away for months. The differences between the women are stark. Ingrid flourishes outdoors, and easily fixes a broken water pump. Ellyn rarely steps further than the water-deprived rose beds encircling the dilapidating homestead. Ingrid is enlivened by studying plants she hasn’t seen before. Ellyn is reluctant to leave the unhappy domestic atmosphere where an empty cradle haunts one room. To her the bush looks “all the same”, and is a place where she will become lost. As the two women form a tentative bond, the homestead garden serves as a rickety bridge between their worlds. The Watch Tower opens with Laura and Clare Vaizey being abandoned by their mother and cast out of their boarding school. Sydney is in the grip of war. The sisters are adrift until Felix Shaw, a small-time businessman with a purring car and grand ideas offers to take them under his wing. Laura is persuaded to work at Felix’s box factory. As soon as she settles into the tedium, he abruptly changes his line of trade. Felix keeps both girls off balance, playing them against each other as he zigzags from one shady venture and extreme mental state to another. Any seemingly kind action is attached by a web of strings. As Felix moves up in the world, he wants the flashy house and garden to match. Once the sisters are installed, Felix marries Laura and Claire begins to refer to her sister as “Hostage Number One”. Felix takes to working outdoors, lunging at the garden like a bayonet-wielding soldier charging across a battlefield. The garden is only a fleck in the tight weave of this narrative, but it is a potent symbol of Felix’s obsession with appearances. As he tries to assert control over nature, and others, he attempts to maintain his dominance in his relentlessly vigilant corner of the world. This article was first published in ‘northerly’ the NRWC’s magazine. I wrote the beginnings of stories as a child. When I was in my twenties working as a cook and travelling overseas, occasionally a typewriter would come my way. I’d eagerly perch it on a fold-down wall-bed but didn’t know where to start. When I returned home to do a BA in the 1990s, I attempted my first ‘proper’ short story. 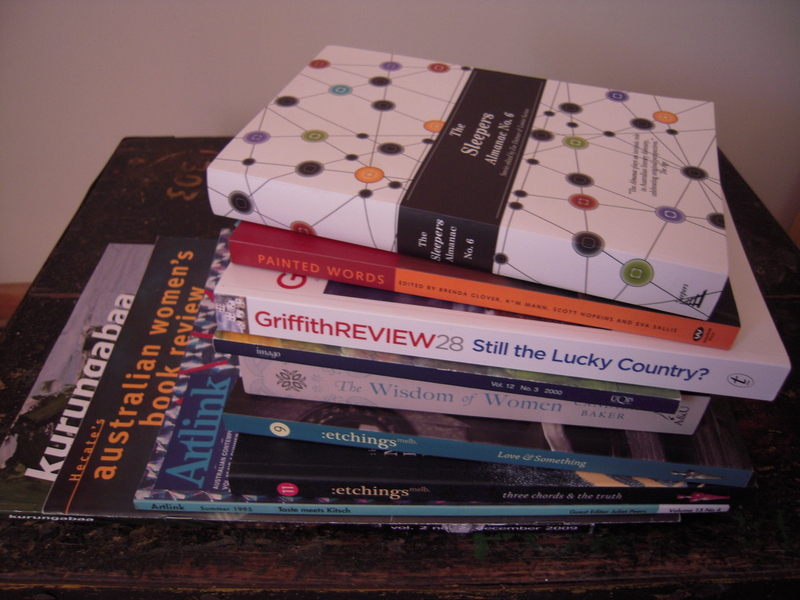 In the late 1990s I enrolled in the newly established Creative Writing MA at the University of Adelaide. I remember sitting in the first class in the stifling February heat, knowing that was where I was meant to be.